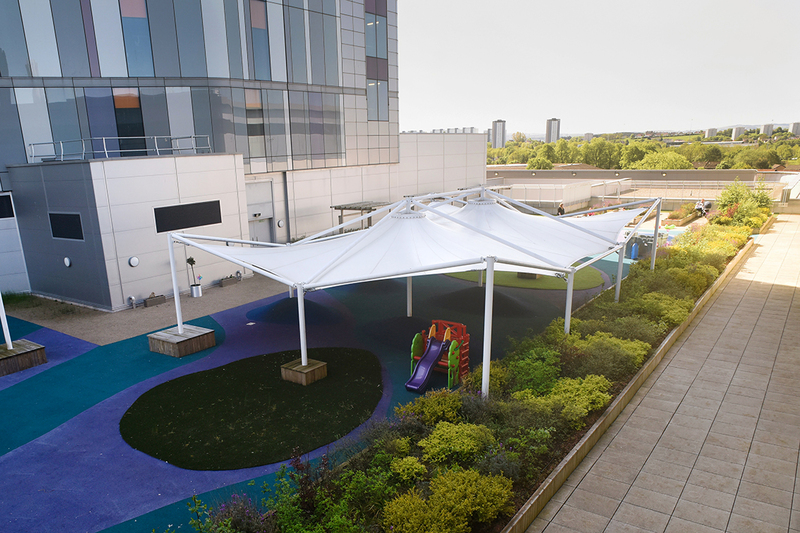 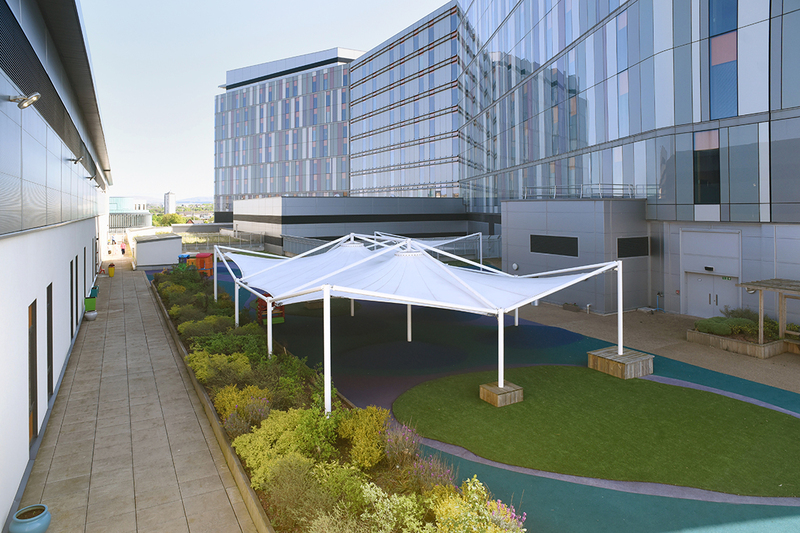 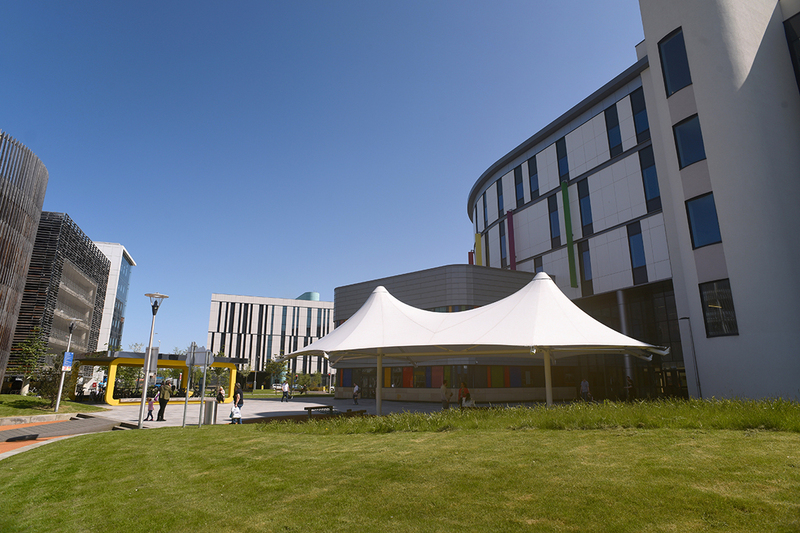 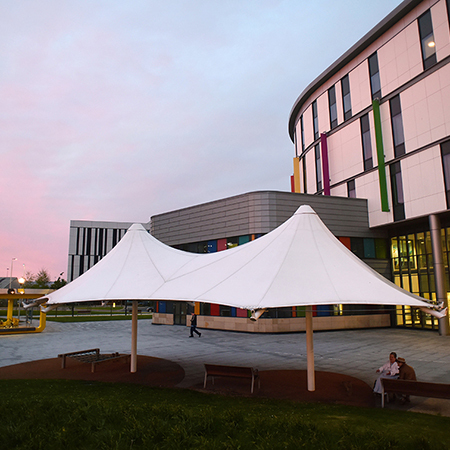 Broxap Ltd. provided a series of canopies and playground equipment for The Queen Elizabeth University Hospital, Glasgow. 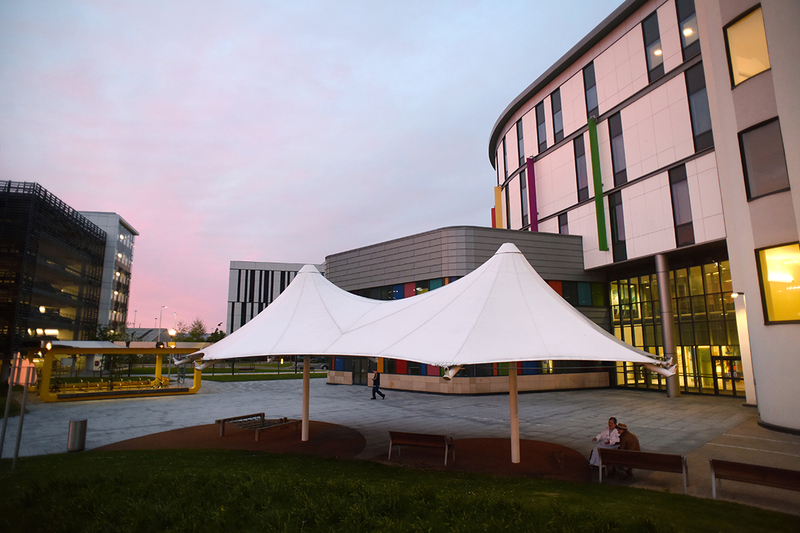 The Queen Elizabeth University Hospital (QEUH) is a 1,677-bed acute hospital located in Govan in the south-west of Glasgow, Scotland, United Kingdom. 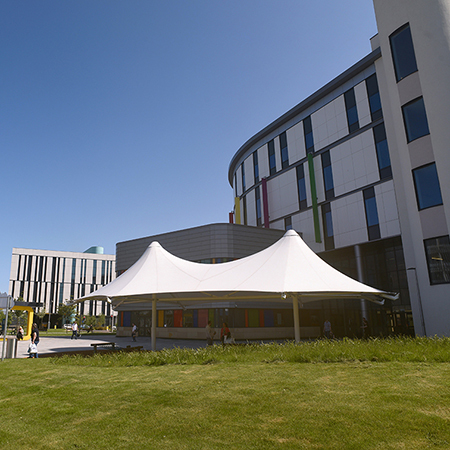 The hospital is built on the site of the former Southern General Hospital. 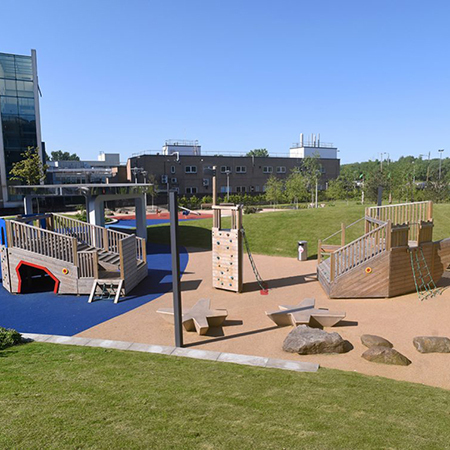 Designed by IBI Group (formerly Nightingale Associates) the buildings were constructed by Brookfield Multiplex, whilst other parties involved were Land Engineering (Scotland) Ltd. and Prater Ltd. 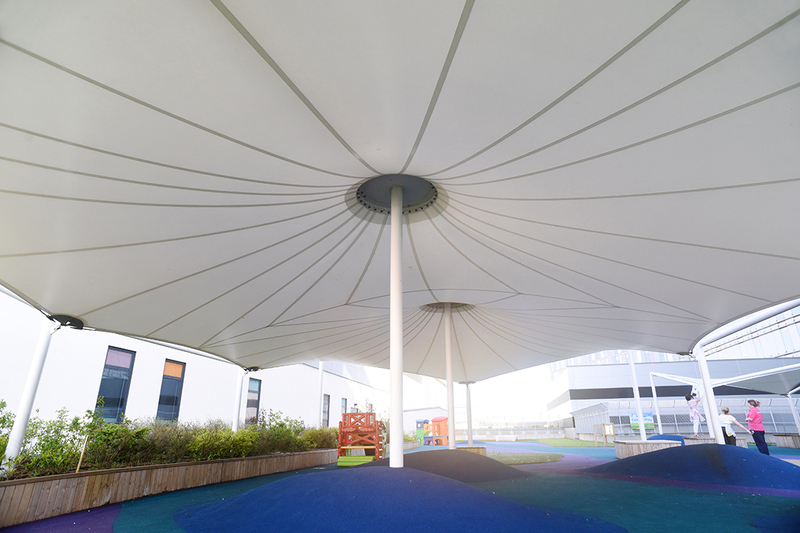 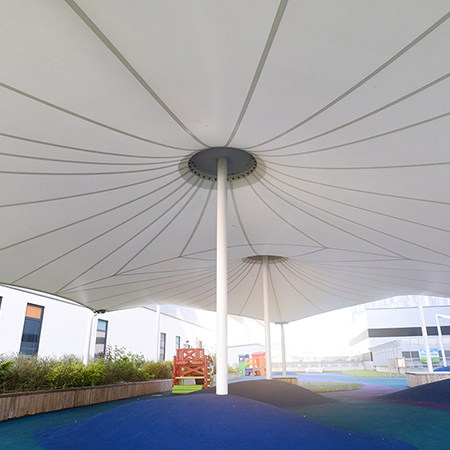 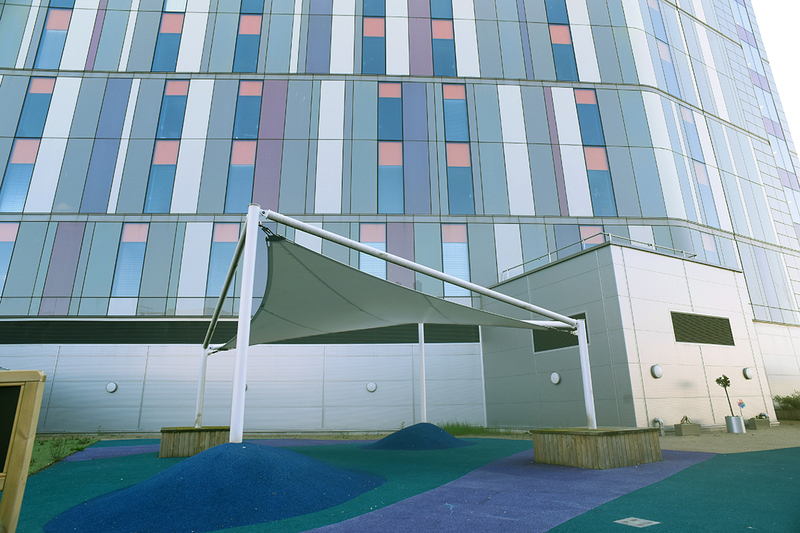 The Children’s Ward houses a roof terrace that features a bespoke fabric tensile canopy designed, manufactured and installed by Broxap. 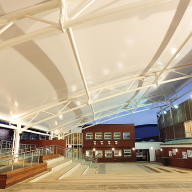 The Hyperbolic structure is constructed of Grade S355 galvanized mild steel uprights with submerged baseplates secured beneath the roof level. 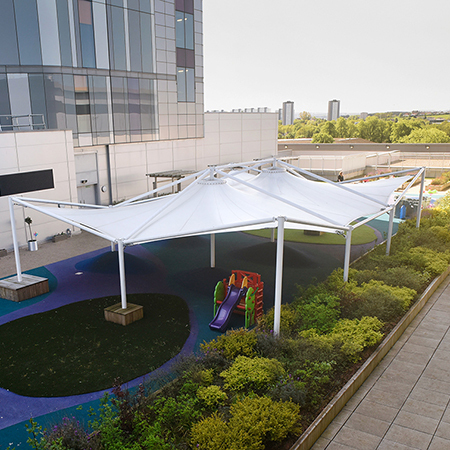 Suspended from the steelwork on perimeter beams tensioned PVC waterproof fabric membrane provides a dry cool area for patients. 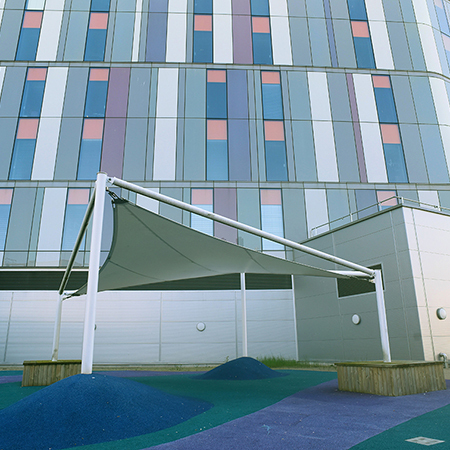 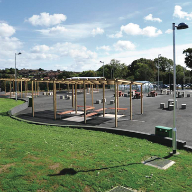 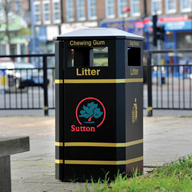 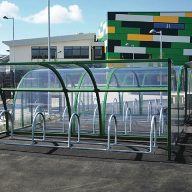 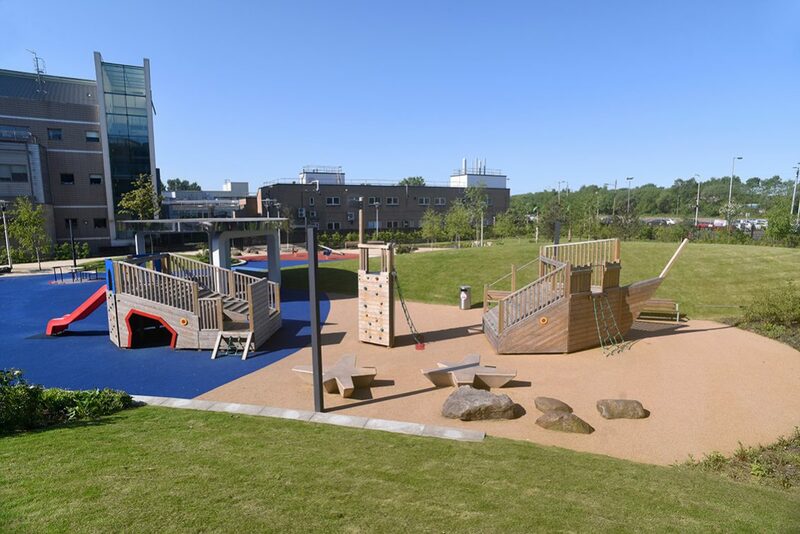 Broxap also supplied an external furniture package and playground equipment for the ground level of the hospital. 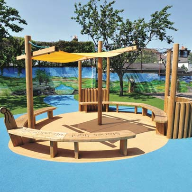 This included equipment from their Hand Made Places division that comprised of ‘Crawl Nets’, ‘Stepping Stones’, Whale & Parrot Springer’, ‘Nest Swing’, ‘Inclusive roundabout’, See-Saw’ and ‘Ship Wrecked Play Boat’. 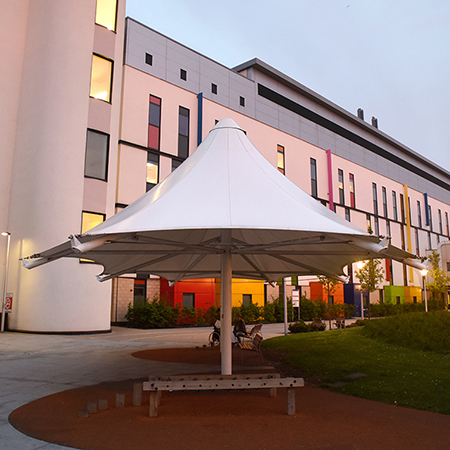 To complement this Broxap provided two large tensile fabric structures, these again were constructed of Grade S355 galvanized mild steel and PVC fabric, a single Parasol and a larger twin Parasol provide dry, shaded areas within the hospital grounds. 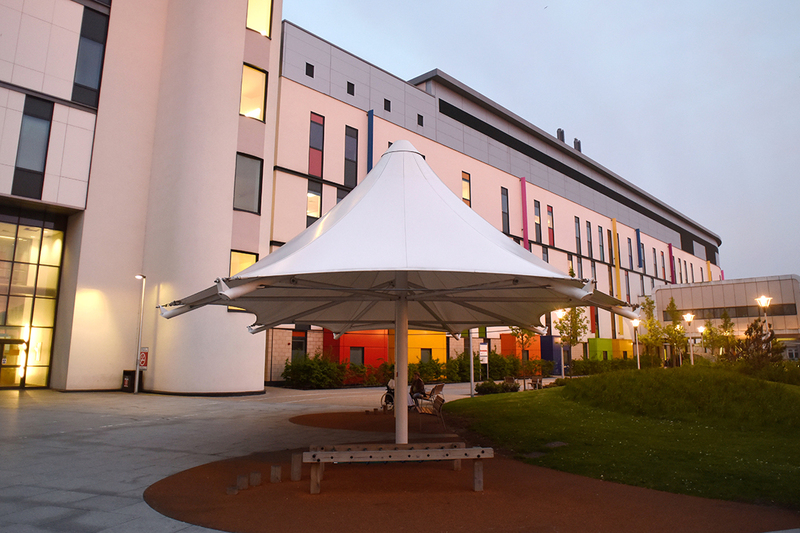 The hospital also required Pick Up Drop Off” canopies for ‘Private Cars’ and ‘Taxies’ at the entrance to the A&E Dept. 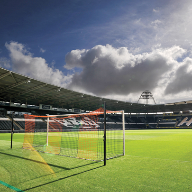 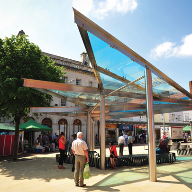 Broxap designed versions of their Aquinas Monopitch Canopy to suit the location, this featured a glazed roofing system of 8.8mm thick laminated glass held in place by an aluminium glazing bar system. 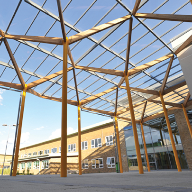 To the sides the structures have glazed wind panels of 10mm toughened glass with 100mm diameter ‘vision’ dots in Holly Green (BS 14C39). 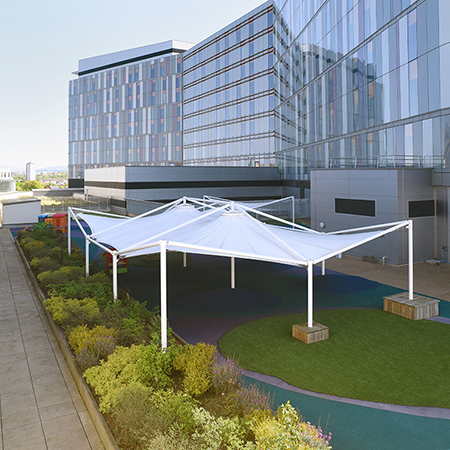 The structures are powder coated white (RAL 9016 Traffic White).